Standard - $1,135.99 Only 3 left! It’s your 10-year-old’s birthday, and there’s only one thing he wants: the latest ultimate Batman action figure. It’s the most popular toy in the country, and all of your son’s friends already have it. He’s talked of nothing else in the three months that it’s been out, and your wife has made it very clear that you had better pick it up or bad things will happen. You waved off her concerns for the past few days, assuring her you’d swing by the toy store on the way home from work the day before the boy’s birthday party. But now… here you stand, in the toy store, in the action figure aisle, and panic is starting to rise up inside you. There’s no Batman action figure. The whole aisle has been wiped out. You have no present. No present means one distraught kid. One distraught kid means one angry wife. And one angry wife means one very, very sad you. You have to think quick. Your son wants a Batman figurine, so you’ve got to find a Batman figurine. But it can’t be just any cheap plastic action figure—it’s got to be at least as cool as the one that he’s seen on TV for weeks without end. Don’t worry, bud—we’ve got you covered! Just buy this DC Collectors Batman Costume. It’s not only an action figure—it’s the ultimate action figure, towering a good five and a half feet taller than any other action figure available at the toy store. The action figures your son’s friends are playing with will look pitifully puny when he shows up with this life-sized, totally authentic DC Collectors Batman Costume. 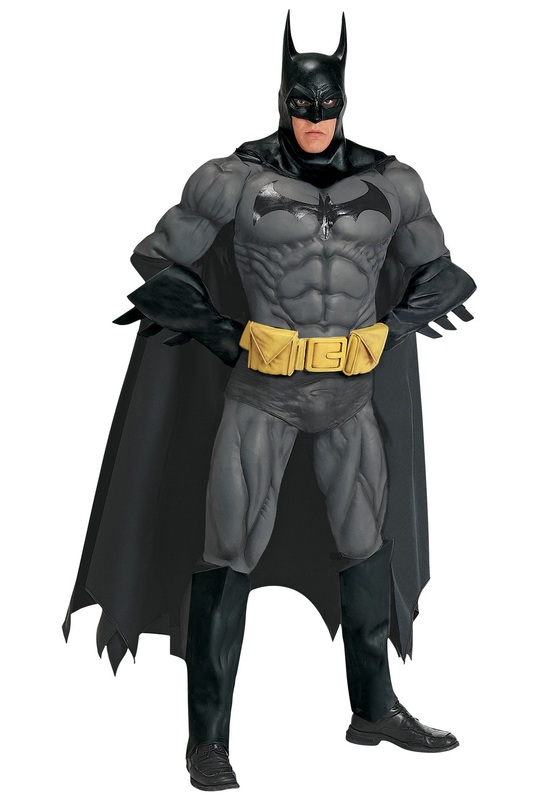 The DC Collectors Batman Costume comes with the classic Batman outfit, which includes a long black sleeved shirt with the Bat symbol on the chest, black pants, a yellow utility belt, black gauntlets with spikes on the sides, black boot covers, a black satin cape and a mask with an attached cowl. Not only that, it also comes with easy-to-attach foam muscles to make sure your Batman looks nearly as impressive as the real thing. Your kid will be the envy of the playground!